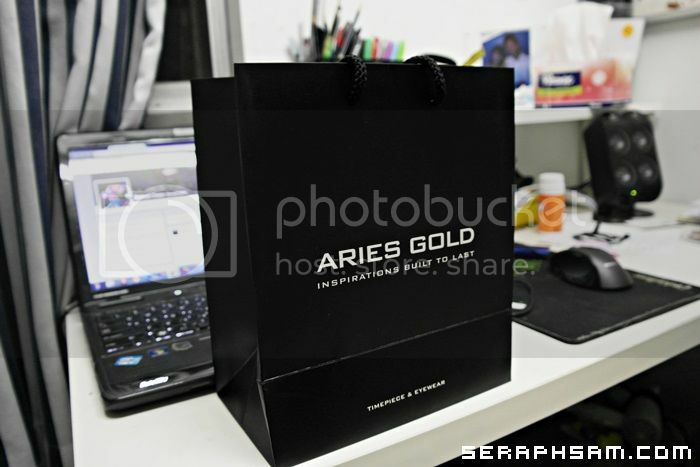 My new Aries Gold watch! 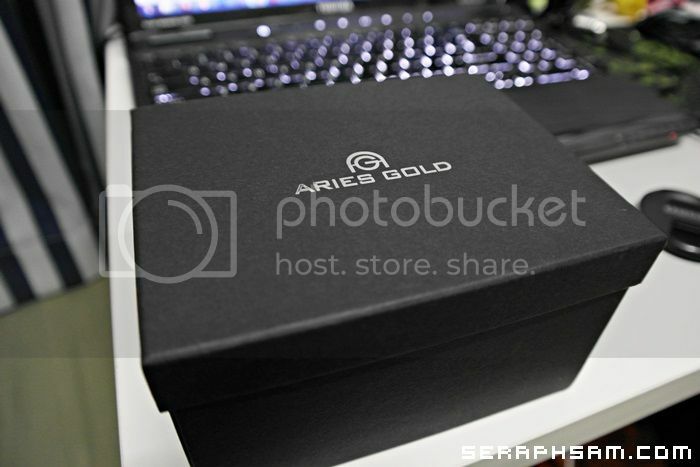 I managed to win it from a contest that Fay Hokulani & Aries Gold Watches organized and well it is epic! Thanks so much for picking me the winner! A little history on Aries Gold Watches, it was created in 1928 and is an international brand registered at Switzerland. Aries Gold strives to create a sophisticated collection for the urban, young, and stylish luxury seekers. All Aries Gold watches are designed on onsite interviews with professionals like racers, deep sea divers, aircraft engineers, fashion designers or entrepreneurs to create robust, functional and inspiring timepieces built to last, timepieces with a story. I had Ying Zi to help me out by collecting it since it was at Singapore and it has finally arrived! Thanks Ying Zi! 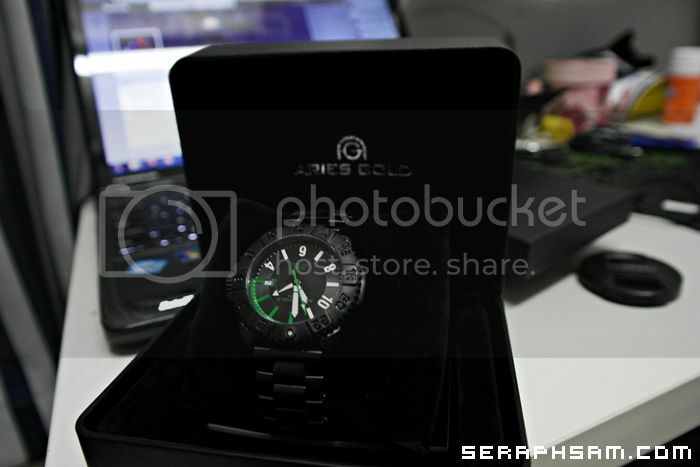 The G500 is a very sturdy and solid watch. its really heavy too! 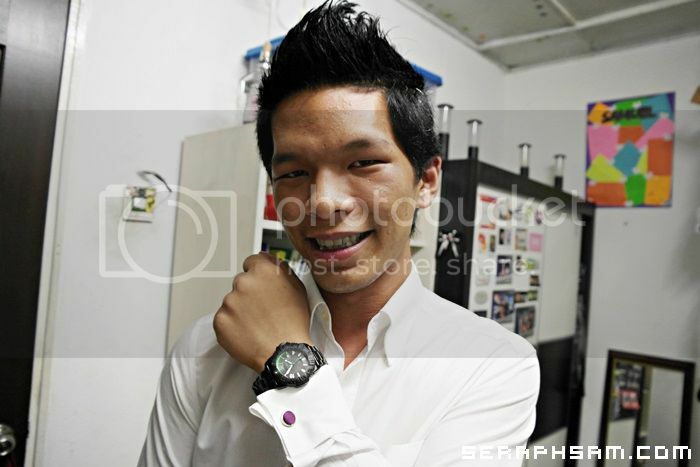 Once again, Thanks Fay Hokulani, Aries Gold Watches for this awesome contest and Ying Zi for bringing it over! 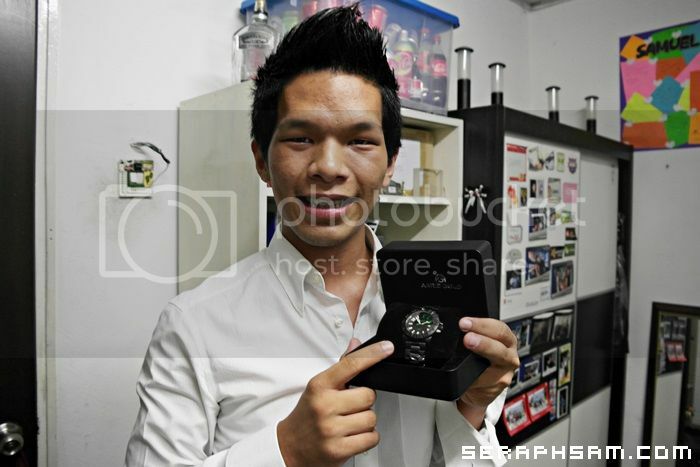 awesome watch bro.... u damnnnn lucky again!